Klara Glass collection || Design: Kristina Stark. 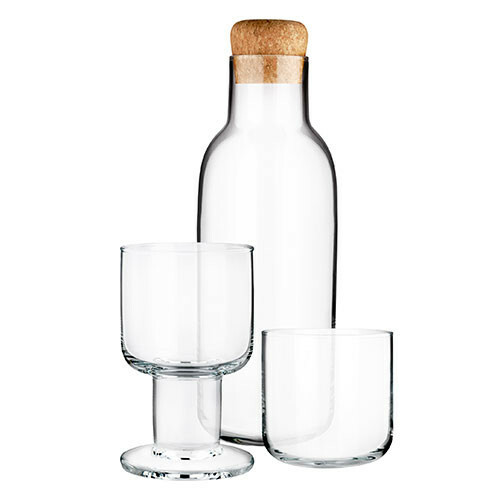 Mouth blown glass collection consisting of a carafe with an eco-friendly hand made cork stopper and two different multi purpose glass; one on stem and one tumbler. Every glass is mouth blown and unique. Even the cork stopper is made by hand. Hand wash is recommended for the cork stopper. The carafe fits perfectly in the refrigerator door.